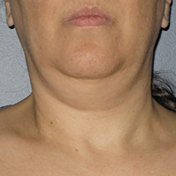 Ultherapy delivers high intensity focused ultrasound energy to the same skin depth targeted by surgeons during cosmetic surgery to the face, neck and décolletage (chest), but without harming the surface of the skin or downtime. Ultherapy, by Ulthera, is the only ultrasound machine which enables the practitioner to see the precise levels where they need to treat, for greater safety and accuracy. The targeted heat energy, deep within the skin, initiates the body’s natural response to stimulate the growth of fresh new collagen and elastin, which gradually lifts and sculpts the skin from the inside out. How long does a treatment take and does it hurt? 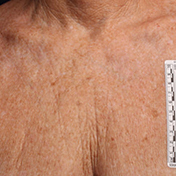 The length of treatment will depend upon the area being treated and your individual treatment plan. 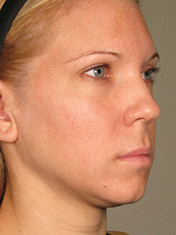 For example a lower face treatment takes about an hour. There may be mild to moderate discomfort during the treatment, this will vary from patient to patient and with areas treated. However, local anaesthetic cream may be applied prior to treatment along with analgesic tablets. After an Ultherapy procedure, you can resume your usual lifestyle and activities immediately without having to follow any special post-treatment measures. 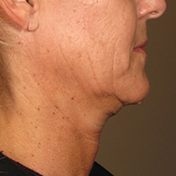 Some patients see an initial lift after their treatment, but the real results appear over 2 – 3 months and can continue for up to six months as the new collagen builds gradually lifting skin on the upper and lower face, neck and décolletage. 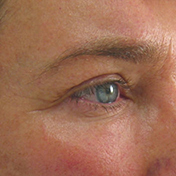 The effects from a single Ultherapy treatment can last around a year or longer dependent upon the laxity of the skin and lifestyle. Most patients need one treatment. 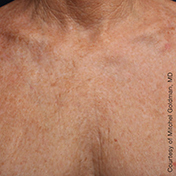 However, based on the degree of skin laxity, biological response to ultrasound energy and the individual’s collagen building process, some patients benefit from additional treatments. Because skin continues to age, future touch-up treatments can help patients keep pace with the body’s natural ageing process. 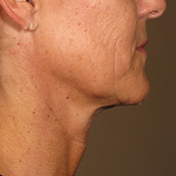 As a result of the natural ageing process our skin becomes less elastic. 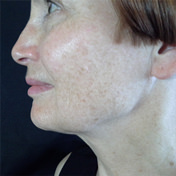 Anyone can have Ultherapy treatment, but a good candidate has mild to moderate skin laxity where the skin begins to look less firm and tight. 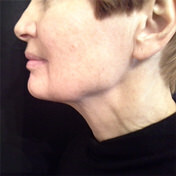 Examples include a lowered brow, lip lines, loose skin on the neck, sagging under the chin and lines and wrinkles on the chest. 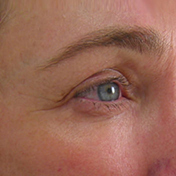 Ultherapy results in a gradual lift, leaving patients looking refreshed. 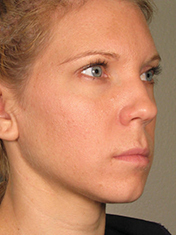 However, Ultherapy will not have the drastic results as a surgical facelift and candidates must have realistic expectations. 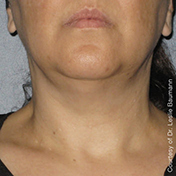 Ultherapy is a great alternative, however, especially for those who don’t want, or are not ready for, surgery or for those looking to extend the effects of cosmetic surgery.